There’s nothing as thrilling as starting a small business and watching your best ideas take flight. But just because you’re busy doesn’t mean you’re ready to expand — or even that you should expand. Here’s what you need to consider before you take the expansion plunge. When customers return to your store again and again, and are willing to travel great distances because you offer a product or service they can’t find anyplace else, it’s time to grow. One business owner, an entrepreneur who runs a clothing boutique, told Fundera.com that customers were willing to drive 50 miles to shop in her store. With loyalty like that, there’s room to grow — especially if you win new customers through referrals easily. You love your work, but orders are piling up. 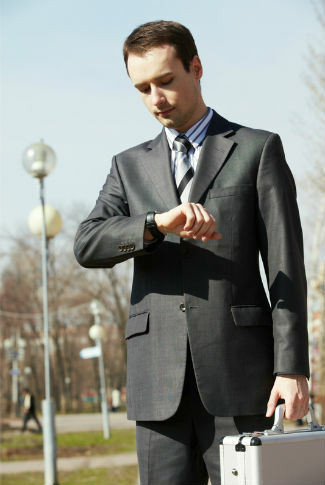 You can’t deliver an excellent product or service in a timely fashion anymore. And you’re worried that, without help, your business’s reputation will suffer. When you have a steady stream of repeat customers, a growing base and a strong earnings history — but you’re stuck in place without more help — it’s time to grow. Consider whether adding more employees or a tech-based solution is right for you. Don’t even think about expanding if your business isn’t profitable. Make three years of growing profits your goal. And make sure your business’s management policies and procedures are sound. You’ll need to be CPA- and investor-ready at all times, or you won’t be able to secure funding. If your business model demonstrates a strong history of profits and professionalism, you’re ready to take it to a new marketplace. Imagine you’re a dermatologist whose private practice is successful. You’re busy every day, enjoy excellent relationships with your clients, and have a competent reputation in your local medical community. Maybe you don’t need to bring on another full-time doctor, but adding another PA or RN might be a good idea, especially since you’re planning to add advanced skincare such as Botox to your suite of services. Sometimes, growing your business is as simple as offering a related product or service that’s a natural fit with your existing brand. A business is only as strong as its employees — and if yours aren’t up to snuff, you’re not ready to expand. Make no mistake: growing your business, while exciting and fun in some ways, is also incredibly stressful in others. If you’re seeking investor funds, they’ll want to meet the key people at your business. Do you have strong leaders in place? Do you and your employees balance and complement each others’ skills? Are your partners supportive of your efforts? When everybody who’s rowing the boat is ready to head out to sea, that’s when it’s time to get serious about expansion. If you’re not sure whether or not it’s time to expand your business, get in touch with SLC Bookkeeping. We’re ready to provide the guidance and back office functions your business needs to grow.